In the Democratic response to President Trump’s State of the Union, Stacey Abrams spoke out in favor of voting rights and against the government shutdown. Abrams was the Democratic leader in the Georgia state legislature for seven years and lost a close 2018 race for governor in a campaign marred by accusations of voter suppression. Her opponent, Republican Secretary of State Brian Kemp, purged voter rolls and essentially served as referee and participant. Abrams’s name has been floated as a potential 2020 U.S. Senate candidate against Republican incumbent David Perdue. Although Trump did not mention the record-setting 35-day government shutdown that ended in late January, Abrams discussed working with Republican leaders in Georgia to help furloughed workers. In addition to the shutdown, Abrams touched on a number of topics not discussed by Trump, including gun safety regulations, student loan debt, labor protections, Medicaid expansion and climate change. 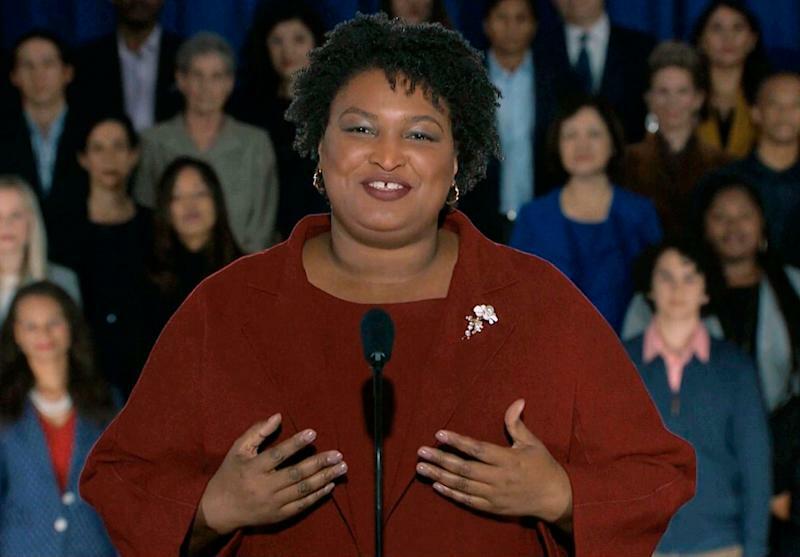 Abrams was the first African-American woman to deliver the formal response to a State of the Union, and her appearance marked a stark change for Democrats after the last two Trump speeches. Two years ago, following Trump’s address to Congress, the party turned to former Kentucky governor Steve Beshear, who spoke from a diner filled with white people. Last year the response was delivered by Rep. Joe Kennedy III, who gave it from a school auto shop. Responses to joint addresses to Congress are considered a thankless job with little upside regardless of the party out of power. Sen. Marco Rubio, R-Fla., was mocked for pausing his speech to drink water while the 2017 Beshear response was roasted for its lack of energy and stiff setting.